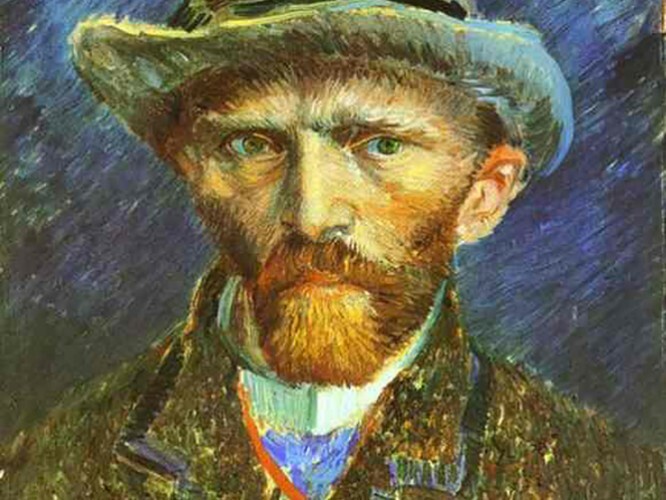 It is a little known fact that a large number of world-famous artists suffer from neurological or psychiatric illnesses; Desitin has set itself the task of alleviating the symptoms of these ailments. An illness, especially if it is chronic, always represents an irritation in a person’s life and can significantly impair their quality of life. Nevertheless, it is also a starting point for a change that can be accompanied by recovery or at least an improvement in the patient’s quality of life. Especially neurological and psychiatric illnesses are recurring themes in art and have also been integrated into therapy concepts in some cases. Narrative and visual arts make the illness visible and can provide stimuli for doctors as well as patients and relatives to help them cope with the illness in general. A recognised expert in the history of epilepsy and epileptology as well as art and literature in the field of epilepsy is Dr. H. Schneble, who has devoted the whole of his working life to this subject. Therefore, Desitin Arzneimittel GmbH is extremely pleased that Dr. Schneble has agreed to take part in the discussion on the works of art pictured in this portal.